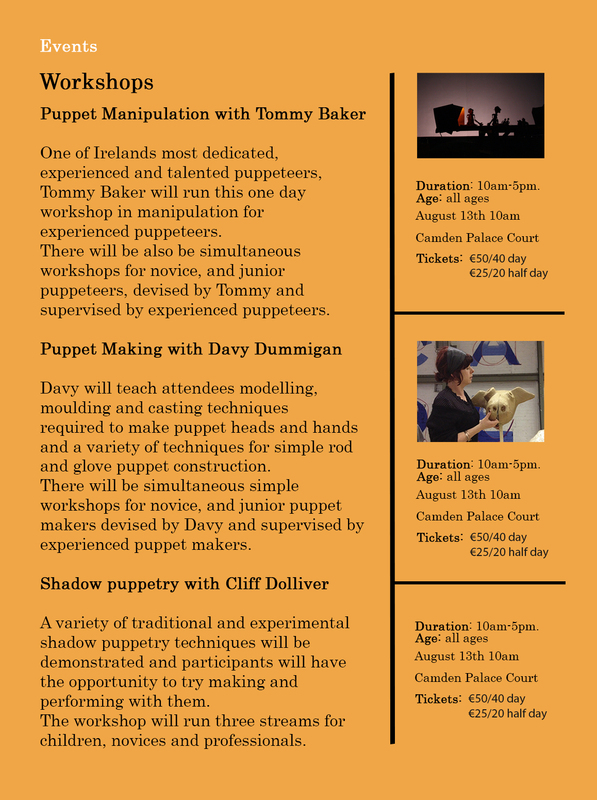 Cork Puppetry Festival 2015’s programme showcases workshops, shows and cabaret for adults. Top UK touring act Flabbergast Theatre’s “Vaudevillian Adventures” is a Bunraku Puppetry and character comedy for discerningly twisted adult audiences. 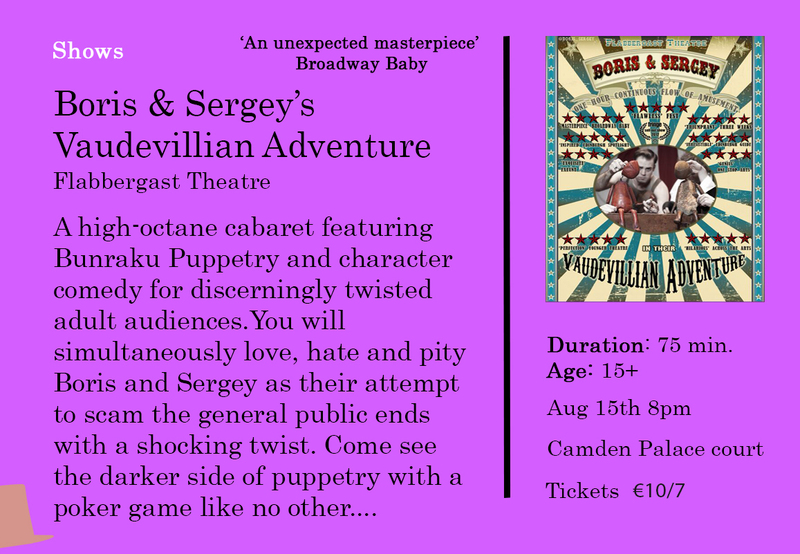 Fresh from their success at this year’s Edinburgh Fringe Festival, Boris and Sergei will bring their dark, irreverent and hilarious act to adult audiences at Cork Puppetry Festival. Are ventriloquist’s dummies as scary as you think they are? The answer is yes! 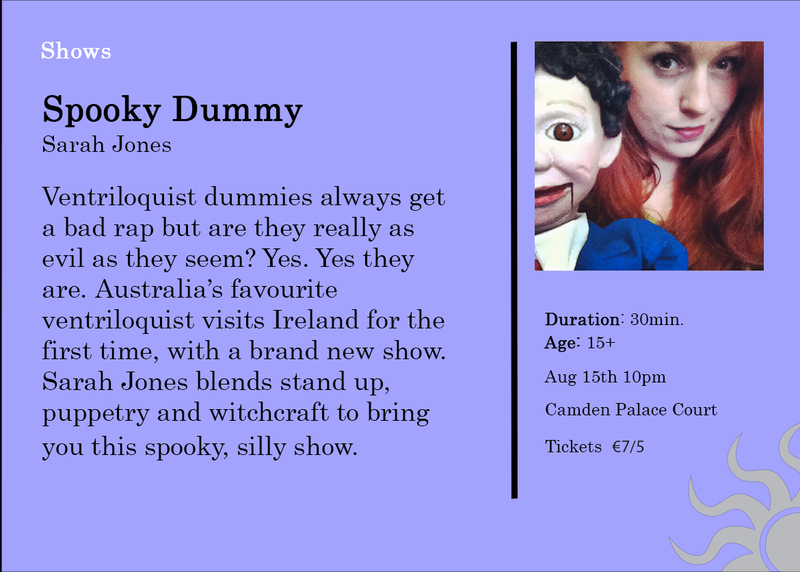 Australian comedienne and ventriloquist Sarah Jones brings her show, “Creepy Dummy” to Cork Puppetry Festival to prove it. 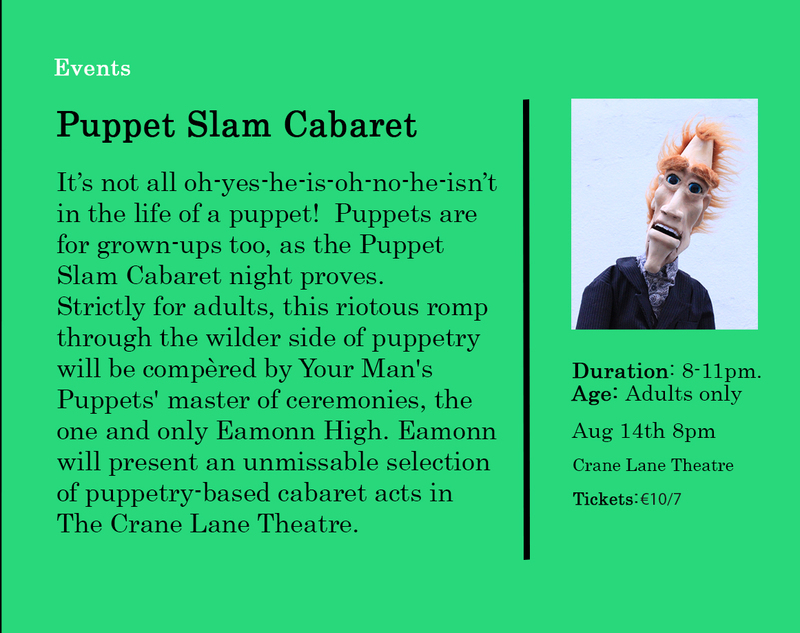 On Friday night, the Crane Lane Theatre is the place to be as the Puppet Slam Cabaret, hosted by Galway puppet-about-town Eamonn High (with Tommy Baker of Your Man’s Puppets in tow) welcomes to the stage a riotous selection of performances from this year’s festival acts with their censored outtakes, the comedy that won’t make it on to a family-friendly stage! Puppetry is participatory. For adults interested in crafts and performance arts, there are day-long workshops teaching everything from casting puppet heads to how to bring your puppet to life through the ancient art of manipulation. These workshops are tailored to all ages, so if you have kids, they can work alongside you at their own skill level.